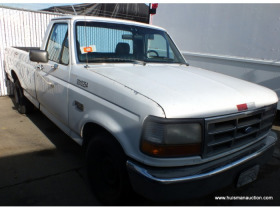 Surplus Fleet Vehicles & Equipment (San Leandro) - Vehicles to include 1999 & 2007 International 4700 LPX Truck, 1999 & 2000 Ford Econoline Van, 1996 GMC Step Van, 2001 Workhorse Step Van, 1993 Ford F150 Pickup, 1996 Stick Dry Van Trailer, and 2000 Freightliner Step Van. 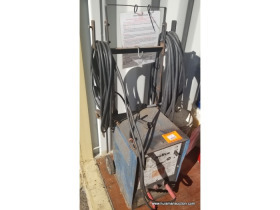 Equipment to include Miller Thunderbolt Welder, Dayton & Ridgid shop vacs, Dayton Port shop heater, Dayton Bench Grinder, and flammable cabinets. Please read full Terms & Conditions for this auction before you bid on any items, as you are bound by them once you begin bidding. The auction will close with a staggered, soft close. 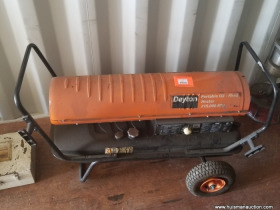 There is a 15% Buyer's Premium for this auction & tax will be charged unless a valid resale certificate is provided at the time of payment (Please enter Resale number in your user account information). All items must be paid for at the conclusion of the auction. We WILL automatically charge the credit card you registered with if you have not contacted us with other arrangements. Please contact our office to make other payment arrangements. No items may be paid for until the auction is completed. We will have personnel on site for checkout - you must bring your own lifting equipment and/or packing items. HAI staff is here to supervise and make sure you receive the correct items; they are not required to load each and every item you purchased. It is your responsibility to ensure you have all your items. Please plan accordingly and bring your own personnel. ALL items are sold AS IS, WHERE IS. It is your responsibility to inspect all items to ensure quality. Some items may be broken or defective, inspection of items is highly recommended, bid accordingly. WE DO NOT SHIP. 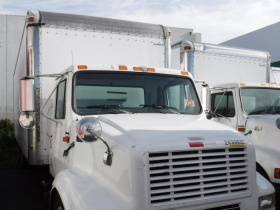 All of our sales are given a specific pickup time, date and location, and this is when you are to be expected to retrieve any goods purchased. Please ensure that you have a pick-up solution before you bid. We will not have access to the location from which we sell at any time other than the scheduled the pick-up period. Therefore, items that are not picked up are considered abandoned. Items can be picked up by someone on your behalf. Please provide them with a copy of your invoice (digital or print). They must also follow the same specific set times as listed in the auction. 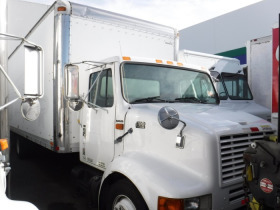 We may help facilitate getting items to a shipping facility, call the office for details. Removal of all items shall be the sole responsibility of the purchaser. Loading assistance is NOT provided or available. Purchaser assumes all risk and responsibility for loading and removal of purchases. Removal timeline: Unless other removal arrangements are made with the removal contact within 48 hours from the end of the auction, fees for failing to timely remove items won may be assessed under the auction terms and conditions. All items must be removed by Monday December 24, 2018. Items not removed by Monday December 24, 2018 will be subject to penalty up to and included additional storage and administration fees and item forfeiture. 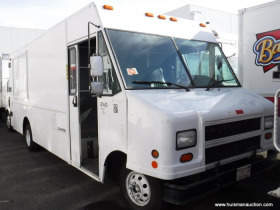 Titles and any supporting documents will be mailed after 10 working days of the auction, unless buyer has failed to remove vehicle from the auction site by the stated removal deadline. No titles will be given out on auction day. Please make sure you have given a correct mailing address, as this will be the address to which the paperwork is mailed. 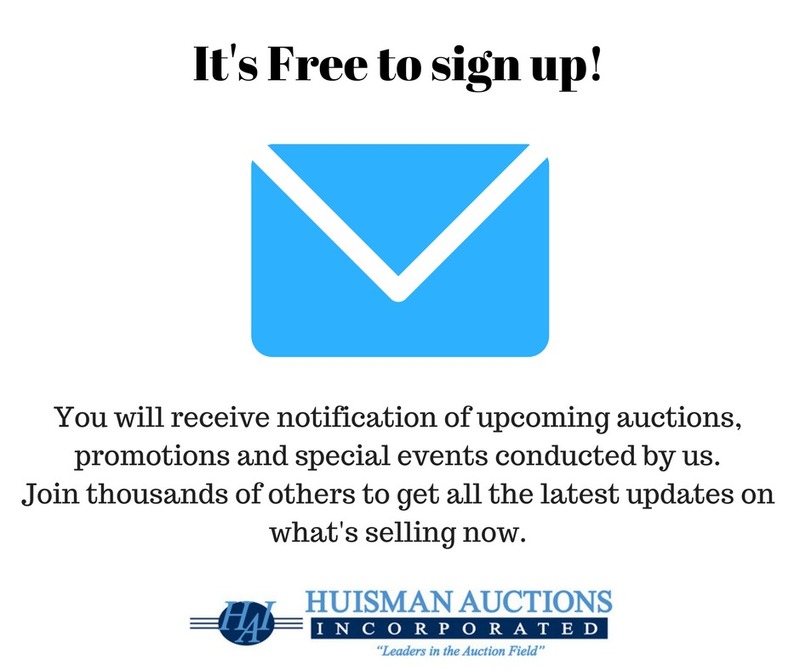 These Bidder Terms and Conditions apply to auctions conducted by HUISMAN AUCTIONS, INC. (“Auctioneer”), and constitute a legal, valid, binding, and enforceable contract between Auctioneer and each Participant, Bidder, and Buyer. These bidder terms and conditions also form the basis for the contract of sale between the Seller and the Buyer. 1. Auction Conducted Under and In Accordance with These Bidder Terms and Conditions, Additional Terms and Conditions Posted by Auctioneer, and Announcements Made at the Time of the Auction, and Applicable Law. The Auction is conducted under and in accordance with these Bidder Terms and Conditions, any and all other Terms and Conditions posted by Auctioneer (whether at the Auction Site or online), any announcements or corrections made by Auctioneer at the time of the Auction, and applicable law. By participating in the Auction, whether at the Auction Site, online, telephonically, or through any other means (including Absentee Bid), each Participant agrees to be bound by, and to abide by, all such Bidder Terms and Conditions. “Absentee Bid” means a bid submitted to Auctioneer in advance, or outside a bidding sequence, by an Absentee Bidder for execution during the Auction under terms established by Auctioneer. “Absentee Bidder” means a person or entity that submits an Absentee Bid. An absentee Bidder may or may not be present at the Auction. EXPRESSLY STATED BY AUCTIONEER IN WRITING, NO PROPERTY IS BEING SOLD ABSOLUTE OR WITHOUT RESERVE. “Attendee” means any person who attends the Auction at the Auction Site, whether such person is a Registered Bidder or not. “Auction” means the auction sale at which Auctioneer exposes the Property for sale through a competitive bidding process, and solicits bids, or is scheduled to solicit bids. “Auction Site” means the physical location of the Auction or, for an Auction conducted entirely online, the location where Property may be inspected and where a Buyer may pick up Personal Property. “Bidder” means any person or entity that tenders a bid at the Auction. “Bidder Registration” means the information provided by a prospective Bidder, and the process of registering such prospective Bidder to bid at the Auction, including the prospective Bidder’s agreement to be bound by these Bidder Terms and Conditions. “Broker Participation Fee” means an amount that is paid to a broker who has participated in procuring a Buyer, or has otherwise assisted in facilitating the sale of Property at the Auction, under the terms and conditions and in the amount established by Auctioneer. “Buyer” means the Winning Bidder with respect to each Lot. “Buyer’s Premium” is an amount with respect to each Lot, calculated as a percentage of the Hammer Price, that is payable by the Buyer to Auctioneer for Auctioneer’s own account. For offered Subject to Seller’s Confirmation, the Buyer’s Premium will be calculated on the amount of the High Bid Subject to Confirmation. “Commission” means the amount payable by or on behalf of Seller to Auctioneer for Auctioneer’s services, calculated as a percentage of the Hammer Price. “Fall of the Hammer” means the point, after bids have been received, at which Auctioneer declares a Lot “sold” to the Bidder acknowledged by Auctioneer as having made the Winning Bid. During an Auction that is exclusively online, the Fall of the Hammer may occur electronically at the end of timed (or extended) bidding. In an Auction that is Subject to Seller’s Confirmation, the Fall of the Hammer will occur on Seller’s Confirmation of the High Bid Subject to Confirmation. “High Bid” means the amount recognized by Auctioneer as the highest bid at the conclusion of bidding on a Lot. “High Bid Subject to Confirmation” means the High Bid amount recognized by Auctioneer at the conclusion of bidding on Property put up at Auction Subject to Seller’s Confirmation. If the High Bid Subject to Confirmation is confirmed by Seller, it will be the Hammer Price. “High Bidder” means the Bidder recognized by Auctioneer as having made the High Bid with respect to a Lot. “Knocked Down” or “Knock Down” means, with respect to any Property put up at the Auction, that Auctioneer has acknowledged the Winning Bid with the Fall of the Hammer, or by announcing “sold”, or by giving a similar such indication. 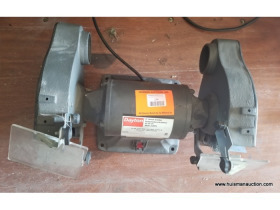 Property may be Knocked Down electronically at the conclusion of a timed online Auction event. (Also, “Struck Off” or “Strikes Off”). “Lot” means each individual item or grouping of Personal Property put up at one time by Auctioneer. “Online Auction Platform” means the hardware and software utilized to conduct the Auction online and to facilitate online bidding, including any associated, adjunct, andor complementary websites, services, premiums, and promotions.  “Online Auction Platform Provider” means the provider of the Online Auction Platform and related services. “Online Bidding Period” means, with respect to an Auction conducted in whole or in part online, any established period during which online bids may be tendered. “Participant” means any person who attends, or otherwise participates in, the Auction (in person or remotely). The term Participant includes, but is not limited to, Attendees, Registered Bidders, Bidders, and Buyers. “Personal Property” means the tangible and moveable property, and any intangible property (including, without limitation, intellectual property) put up at the Auction. “Private Sale” means an event in which Property is sold by Seller, or on Seller’s behalf, other than at the Auction (including a sale at an auction conducted by a person or entity other than Auctioneer). “Private Sale Price” means the fair market purchase price of the Property paid, or agreed to, at a Private Sale in an arms-length transaction between Seller and the purchaser of the Property. If the Property is sold through a Private Sale for less than its fair market value, or in a transaction that is not an arms-length transaction, or is gifted by Seller, the Private Sale Price will be an amount equal to the fair market value of the Property in an arms-length transaction. “Property” means the Personal Property. “Purchase Price” means an amount equal to the Hammer Price or High Bid Subject to Confirmation, as the case may be, plus the Buyer’s Premium. “Registered Bidder” means a person or entity that has registered to bid at the Auction. “Registration Deposit” means, if required by Auctioneer, the deposit made by a Registered Bidder in order to register for the Auction. Auctioneer may require that the Registration Deposit be made in certified funds or in such other form as determined by Auctioneer in Auctioneer’s discretion. “Reserve” or “With Reserve” means that property put up at auction may be withdrawn by the Auctioneer andor bids may be rejected by Auctioneer prior to the Fall of the Hammer. UNLESS SPECIFICALLY AND EXPRESSLY STATED OTHERWISE BY AUCTIONEER IN WRITING, ALL PROPERTY IS BEING WITH RESERVE. “Reserve Price” means the minimum price that Seller is willing to accept for specific Property. If Property put up With Reserve is subject to a Reserve Price, such Property will not be Struck Off unless the Reserve Price is met or waived. It is not required for any Reserve Price to be disclosed. “Seller’s Confirmation” means Seller’s confirmation, approval, and acceptance of the High Bid Subject to Confirmation acknowledged and recorded by Auctioneer. “Struck Off” or “Strikes Off” means, with respect to any Property put up at the Auction, that Auctioneer has acknowledged the Winning Bid with the Fall of the Hammer, or by announcing “sold”, or by giving a similar such indication. Property may be Struck Off electronically at the conclusion of a timed online Auction event. (Also, “Knocked Down” or “Knock Down”). “Subject to Seller’s Confirmation” means, with respect to any Property identified by Auctioneer, prior to or during the Auction, as being sold Subject to Seller’s Confirmation, that, after the High Bid Subject to Seller’s Confirmation has been received and acknowledged by Auctioneer, Seller may determine, in Seller’s sole and absolute discretion, to (i) accept such bid or (ii) reject such bid. “Winning Bid” means the highest bid received and accepted (and if Subject to Seller’s Confirmation, confirmed by Seller). “Winning Bidder” means the Bidder who is recognized by Auctioneer as having made the Winning Bid. 3. Bidder Registration; Bidder Qualification. All persons desiring to bid at the Auction must register to bid. In order to register to bid, each potential Bidder must provide such information (including identifying information and qualifications) as requested by Auctioneer. Each person registering to bid represents to the Auctioneer that such person is at least eighteen (18) years of age and is otherwise legally able to enter into a contract. Auctioneer may refuse to accept a Bidder Registration from any potential Bidder, may refuse to grant bidding privileges to any potential Bidder, and may revoke the Bidder Registration or bidding privileges of any Registered Bidder. Each person registering to bid, or otherwise participating, at the Auction acknowledges and agrees that such person has read, understands, and agrees to be bound by, these Bidder Terms and Conditions. In Auctioneer’s discretion, bids may be received from a person who has not registered to bid, andor who has not satisfied all requirements for Bidder Registration, andor who has not previously been granted bidding privileges, and, by bidding, such person will be bound by these Bidder Terms and Conditions. Auctioneer may establish such Bidder qualifications as Auctioneer determines, in Auctioneer’s discretion, are reasonably necessary or appropriate. Bidder qualification provisions (which may include proof of the availability of funds) are intended for the benefit of Auctioneer and Seller, and create no rights or interests in any other persons, including competing Bidders. Auctioneer andor Seller may (but will not be required to) waive any Bidder qualifications, either globally or on a case by case basis. Conditions are entered into in the State of California, all bids and payments are received in the State of California, and all contracts between Seller and Buyer are formed and entered into in the State of California. 5. Buyer’s Premium. All Property offered at the Auction is subject to a Buyer’s Premium, which will be paid by the Buyer to Auctioneer for Auctioneer’s own account. The Buyer’s Premium will be calculated as a percentage of the Hammer Price, and will be added to the Hammer Price to determine the final Purchase Price. The Buyer’s Premium for Personal Property will be amount equal to fifteen percent (15%) of the Hammer Price for each Lot Struck Off at the Auction. 6. Access to Auction Site andor Online Auction Platform. Participants assume all risks associated with their presence at the Auction Site andor their access to any Online Auction Platform utilized by Auctioneer. Any person may be denied access to the Auction, the Auction Site, and any Online Auction Platform utilized by Auctioneer, and may be removed at Auctioneer’s discretion. 7. Nature of the Auction. 	The Auction for the Personal Property will be With Reserve. Auctioneer may Withdraw any Lot prior to the Fall of the Hammer on such Lot. □	Specifically identified Personal Property will be sold Subject to Seller’s Confirmation. This means that after the High Bid Subject to Confirmation has been received and acknowledged by Auctioneer, Seller may determine, in Seller’s sole and absolute discretion, to (i) accept such bid or (ii) reject such bid. 8. Bidding. Bidders may only bid at the Auction by agreeing to be bound by these Bidder Terms and Conditions. By bidding, each Bidder acknowledges and agrees that such Bidder is subject to, and bound by, these Bidder Terms and Conditions. 9. No Bid Retraction. No Bidder may retract a bid that has been acknowledged by Auctioneer or that has been submitted online. Each Bidder acknowledges and agrees that Auctioneer is acting in reliance on tendered bids in the conduct of the Auction, and that bid retraction is disruptive and interferes with the Auction, and that, as an inducement for Auctioneer to accept such Bidder’s Bidder Registration and to grant bidding privileges, and for such Bidder to bid at the Auction, each Bidder agrees not to withdraw or to attempt to withdraw any tendered bid. 10.1. Online Bidding Registration. Anyone desiring to bid online, or to establish the possibility of bidding online, will be required to create an online bidding account by completing all necessary forms and providing required information. 10.2. Bidder Terms and Conditions; Notices and Announcements. The Auction will be conducted in accordance with these Bidder Terms and Conditions and any notices or announcements by Auctioneer andor posted online or onsite. 10.3. Posted Times. All times are based on the Pacific Time Zone unless stated otherwise. Posted closing times and time displays are approximate. Auctioneer reserves the right to close early or extend the Auction at Auctioneer’s sole and absolute discretion. 10.4. Handling of Online Bids. Online Bids will ordinarily be initiated at an established opening bid amount or at the next bid increment, which amount may be less than the Bidder's maximum bid amount. Online bids will automatically be executed competitively up to (i) the Fall of the Hammer (or other termination of the bidding) or (ii) the Bidder's maximum bid amount, whichever occurs first. The receipt and execution of online bids will not create an agency relationship between Auctioneer and any Bidder. 10.5. Online Bidding Increments. Auctioneer may establish bid increments, and may modify or change bid increments, in Auctioneer’s sole and absolute discretion. 10.6. Records of Online Activity. Absent clerical errors, Auctioneer’s records will be final and conclusive. 10.7. Technology Disruptions. Auctioneer will not be responsible for technology disruptions, errors, or failures (including disruptions to bidding or the failure to execute, recognize, or record online bids), whether caused by (i) loss of connectivity, breakdown, disruption, or failure of the Online Auction Platform, (ii) breakdown, disruption, or failure of a Bidder’s internet connection, computer, or system, or (iii) otherwise. Auctioneer may, but will not be required to, continue, suspend, delay, extend, reschedule, or close the Auction because of disruptions caused by technology failures, even after bidding has commenced. 10.8. Failures by Online Auction Platform Provider and its Affiliates or Contractors. Auctioneer may use an Online Auction Platform Provider to facilitate the Auction. Under no circumstances will Auctioneer be liable for any failure of the Online Auction Platform Provider to perform all or any of its obligations, or for the failure of any affiliates, employees, agents, representatives, or contractors of the Online Auction Platform Provider to perform their obligations. 10.9. Auto Extend Feature. Any Online Bidding Period may include an auto extend feature. This means that, if an online bid is entered within a set time period approaching the end of the established Online Bidding Period, the Online Bidding Period will automatically be extended for an additional amount of time in increments established by Auctioneer, and will continue to be so extended until there is a set period of time that lapses during which no online bids are received, after which bidding will close. 10.10. Disclaimer. Auctioneer makes no representations or warranties, and disclaims all representations and warranties, (i) that the Online Auction Platform or any related website or technology will be uninterrupted, error free or virus free, (ii) as to the results that may be obtained by using the Online Auction Platform or any related website or technology, or (iii) as to the accuracy, completeness, reliability, security, or current nature of the Online Auction Platform or any related technology. 10.11. Responsibility for Online Bids. Each Registered Bidder is responsible for all bids transmitted from such Registered Bidder’s computer or from such Registered Bidder’s account for the Online Auction Platform. If a Winning Bid is sent from the computer of a Registered Bidder, or from a Registered Bidder’s account for the Online Auction Platform, such Registered Bidder will be the Buyer. 10.12. Winning Bidders Subject to Certification by Auctioneer. The final determination of the Winning Bidder is subject to certification by Auctioneer; and any email or electronic message (whether generated manually or automatically) is subject to such certification. 11. Absentee Bids; Remote Bidding. In addition to online bids, Auctioneer may, in Auctioneer’s discretion, receive Absentee Bids andor bids tendered by other means, including telephonically. Absentee Bids may be initiated and advanced in accordance with Auctioneer’s policies and procedures. Auctioneer will make reasonable efforts to execute Absentee Bids, but Auctioneer will have no liability to any Absentee Bidder for the failure to execute any Absentee Bids for any reason whatsoever. Each Absentee Bidder acknowledges and agrees that Property may be sold to another Bidder for the maximum amount of the Absentee Bid based on a bidding sequence that causes another Bidder to reach the such amount first. If the execution of an Absentee Bid at its maximum amount would require Auctioneer to accept a bid that is less than a full bidding increment, Auctioneer has the sole and absolute discretion to acknowledge or reject such bid. An Absentee Bidder may authorize Auctioneer to advance the bid by one or more bidding increments after the maximum amount of the Absentee Bid is, or would be, reached. Auctioneer acts as the agent of the Seller only, and the receipt andor execution of Absentee Bids will not create an agency relationship between Auctioneer and any Absentee Bidder. 12. Bid Increments. Bid increments are established and controlled by Auctioneer, and may be adjusted, modified, or waived in Auctioneer’s sole and absolute discretion. 13. Registered Bidders Responsible for Bids Placed on Bidder Number. Each Registered Bidder is responsible for the Bidder Number issued to such Registered Bidder. Auctioneer is not responsible for monitoring or policing the use of Bidder Numbers, and each Registered Bidder is responsible for all bids made on the Bidder Number issued to such Registered Bidder even if the Registered Bidder claims that the Bidder Number was lost, stolen, or misappropriated, unless notice of a lost, stolen, or misappropriated Bidder Number was provided to Auctioneer prior to an unauthorized bid being made. Absent a clerical error, Auctioneer’s records will be conclusive. 14. Withdrawal of Property by Auctioneer. Specific Property that is, in express written terms, put up at Absolute Auction, will not be Withdrawn after a valid bid has been recognized on such Property. In all other cases, Auctioneer may Withdraw any Property from the Auction, even after a bid has been recognized, prior to the Fall of the Hammer. Property put up Subject to Seller’s Confirmation may also be Withdrawn after the conclusion of the bidding, prior to Seller’s confirmation of a High Bid Subject to Seller’s Confirmation. 15. Winning Bid; Buyer. Pursuant to these Bidder Terms and Conditions, the Bidder making the Winning Bid for any Lot will be the Buyer of such Property. THE SELLER OR ANYONE ACTING AS AGENT OF THE SELLER, ORALLY OR IN WRITING, ABOUT THE PROPERTY, OR ANY OF IT. EACH BIDDER ACKNOWLEDGES AND AGREES THAT SUCH BIDDER HAS HAD A FULL AND FAIR OPPORTUNITY TO INSPECT THE PROPERTY, AND IS RELYING SOLELY ON, OR HAS WAIVED, SUCH BIDDER’S INSPECTION AND INVESTIGATION (i) IN DETERMINING WHETHER TO BID, (ii) IN DETERMINING THE AMOUNT OF A BID, AND (iii) IN BIDDING. 17. Announcements. Announcements made, or posted, by Auctioneer on the day of the Auction are binding and take precedence over any prior advertisements or listings. 18. Bidder’s Inspection. By bidding, each Bidder acknowledges and agrees that such Bidder has had a full and fair opportunity to inspect the Property, and is relying solely on, or has waived, such Bidder’s inspection and investigation (i) in determining whether to bid, (ii) in determining the amount of a bid, and (iii) in bidding. 19. Description of Property. Unless otherwise expressly stated otherwise in writing, any description of Property is based solely on visual impression, and is given solely for identification purposes, and does not create any warranty, expressed or implied, or representation by Auctioneer. 20. Contract of Sale for Personal Property. By operation of these Bidder Terms and Conditions and Section 490:2-328 of the Uniform Commercial Code, no additional or further writing will be required to evidence the existence of a contract of sale for any Personal Property Knocked Down at the Auction regardless of the Purchase Price, and these Bidder Terms and Conditions, together with Auctioneer’s clerking sheets or other physical or digital notation identifying the Lot, the Hammer Price, and the Buyer, will be conclusive evidence as to the terms of the sale. These Bidder Terms and Conditions will be incorporated into and made a part of the contract between each Buyer and Seller. 21. Bidding by or on Behalf of Seller. Seller may bid directly, or indirectly, on any Property put up With Reserve, and Auctioneer may place bids on Seller’s behalf up to the Reserve Price, if any, of Property put up With Reserve. Fall of the Hammer or other termination of the bidding Auctioneer is made aware of a bid that was unnoticed prior to the Fall of the Hammer or other termination of the bidding, and it is demonstrated to Auctioneer’s satisfaction that such bid was, in fact, timely made, or (iii) promptly after the Fall of the Hammer or other termination of the bidding Auctioneer is made aware that Auctioneer and a bid assistant or ring man, or multiple bid assistants or ring men, have acknowledged bids in the same amount bid from different bidders, or (iv) some other bid dispute arises. Any contract formed with the Fall of the Hammer will be subject to the conditions set forth in this Section. If bidding is reopened pursuant to this Section, the bid recognized by Auctioneer prior to the reopening of the bidding will be held, and may not be retracted, and, if no further bids are received, such bid will be the Winning Bid. 23. Motor Vehicles and Equipment. 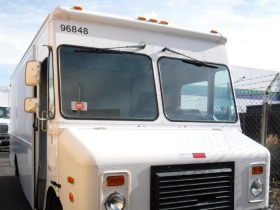 Any and all motor vehicles and motorized equipment (including, without being limited to, automobiles, trucks, vans, recreational vehicles, motor cycles, motor scooters, tractors, earth moving equipment and other heavy equipment) must be paid in full prior to removal from the Auction Site; and, if any vehicles or equipment are paid for with a check, such vehicles or equipment will not be released unless and until the check clears and the funds have been received by Auctioneer and are not subject to reversal. 24. All Sales Final. ALL SALES ARE FINAL. NO REFUNDS OR RETURNS. 25. Sales Tax. All Personal Property is subject sales tax unless an exemption applies. 26. Payment. All Personal Property must be paid for in-full by onsite Buyers on the day of the Auction, at or before the conclusion of the Auction and before any Property is removed from the Auction Site by or on behalf of the Buyer. Online purchases must be paid for by the next business day after the close of the Auction. Onsite purchases may be paid in cash or approved check, and, if made available by Auctioneer by credit card or debit card. Online purchases must be paid by credit card or approved check; provided, however, that any online purchases in excess of One Thousand Hundred Dollars ($1,000.00) must be paid by wire transfer or certified funds unless other arrangements are made with Auctioneer in Auctioneer’s sole and absolute discretion. 27. Pick-up and Removal; Shipping. 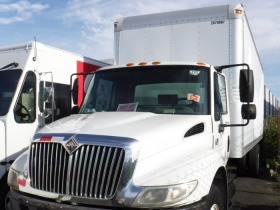 Each Buyer is responsible for removal of Lots purchased at the Auction, including shipping to remote Buyers. Pick-up and removal dates and times will be as posted or announced by Auctioneer. Unless otherwise agreed, each Buyer is solely responsible for the disassembly, removal, shipping, and transportation of each Lot purchased by such Buyer. 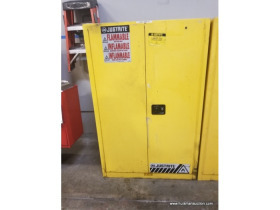 Disassembly and removal must be done in a workmanlike manner, and each Buyer will indemnify and hold harmless both Auctioneer and Seller against any and all damage caused by the acts of the Buyer, or the Buyer’s employees, agents, representatives, or independent contractors, in connection with the disassembly or removal of any Personal Property. Any and all damage to the Auction Site, including, without being limited to damage to land or buildings, caused by a Buyer or by an employee, agent, representative, or independent contractor of a Buyer, will be repaired by, or at the expense of, such Buyer to the satisfaction of Auctioneer and Seller. 28. Abandoned Items. Any Lots not paid in full, not picked up and removed in the time provided (but, under any circumstances, within three (3) days after the Auction), or for which payment has not cleared (within three (3) days after the Auction), will be considered abandoned and may be offered for sale at a later auction or subject to other disposition. Such abandonment does not relieve the Buyer of the Buyer’s obligation to make payment in full. Buyers are responsible for the full purchase price of all Lots Struck Off to them. 29. Returned Checks. Any checks that are returned unpaid will be subject to a returned check fee in the amount of twenty five Dollars ($25.00). In addition to the foregoing, Auctioneer will be entitled to recover, from the issuer of a returned check, all costs and expenses, including attorneys’ fees, for the collection of payment made in the form of a check that has been returned unpaid. under any circumstances, (i) issue a stop payment order with respect to any checks issued at or in connection with the Auction, or (ii) initiate a credit card chargeback with respect to any purchases at the Auction. Each Bidder further agrees that if, in violation of these Terms and Conditions, a stop payment order is issued or a credit card chargeback is initiated, these Bidder Terms and Conditions will be conclusive evidence of the Bidder’s (i) waiver of any rights to issue a stop payment order or to initiate a credit card chargeback, and (ii) agreement not to issue a stop payment order or to initiate a credit card chargeback; and each Bidder acknowledges and agrees that on Auctioneer’s presentation of these Bidder Terms and Conditions to the bank, credit card company, or other financial institution against which a check was drawn or that issued the credit card on which charges were made, such bank, credit card company, or other financial institution will reverse any stop-payment order andor reverse or deny any credit card chargeback, and will recredit all amounts to or for the account of Auctioneer. If, in violation of these Bidder Terms and Conditions, a Bidder issues a stop payment order or initiates a credit card chargeback, such Bidder, even if successful, will remain liable for all purchases made at the Auction, and will be responsible for all costs and expenses, including attorneys’ fees, incurred by or on behalf of Auctioneer andor Seller in challenging the stop payment order or credit card chargeback and in collecting payment. Each Bidder acknowledges and agrees that the covenant not to issue a stop payment order or to initiate a credit card chargeback is a condition to Bidder Registration and to the privilege of bidding at the Auction, and is being made as an inducement for Auctioneer to accept such Bidder’s Bidder Registration and to permit the Bidder to bid at the Auction. Each Bidder acknowledges and agrees that Auctioneer is relying on the covenant not to issue a stop payment order or to initiate a credit card chargeback in accepting such Bidder’s Bidder Registration and in permitting the Bidder to bid at the Auction. 31. Claims. Unless otherwise provided in writing, after a Lot has been removed from the Auction Site by or on behalf of a Buyer, no claims or returns will be allowed and no claim will be allowed for adjustments or rescission of any sales based on the failure of a Lot to correspond with any standard andor expectation of the Buyer. 32. Title and Risk of Loss for Personal Property. Subject to a possessory lien in favor of Auctioneer and Seller, title and risk of loss with respect to Personal Property pass to the Buyer with the Fall of the Hammer. 33. Buyer’s Remedies; BiddersBuyers Not Entitled to Incidental or Consequential Damages. To the extent that any Bidder or Buyer may be entitled to damages or remedies, the sole and exclusive remedy available to Bidders and Buyers is a return of the Purchase Price actually paid. Under no circumstances will Auctioneer or the Seller be liable for incidental or consequential damages, including, without being limited to lost profits or reduced productivity. Each Bidder acknowledges and agrees that no Bidder or Buyer is entitled to specific performance or other equitable relief. 34. Seller’s Remedies. If any Buyer breaches such obligations under these Terms and Conditions or under a sale contract with the Seller of Property Struck Off at the Auction, such property may be resold and the breaching buyer will be responsible for any and all damages, including any deficiency or reduction in the Purchase Price, along with incidental damages. 35. Indemnification. Each Bidder agrees to indemnify and hold Auctioneer and Seller harmless from any current or future claim regarding the Auction or the Property, including, without being limited to, fitness, use, damage, safety, or injuries to persons or property. 36. Private Sale. No Participant or Registered Bidder may offer to enter into a Private Sale for the purchase of any of the Property prior to or during the Auction. If any of the Property is not Struck Off at the Auction and Seller enters into an agreement to sell any of the Personal Property within ten (10) days after the Auction, Auctioneer will be entitled to receive an amount equal to Auctioneer’s full Commission and Buyer’s Premium. 37. Waiver. Certain provisions of these Bidder Terms and Conditions are for the exclusive benefit of Auctioneer andor Seller(s). Such provisions, including, without being limited to, Bidder registration and qualification requirements, deposit and payment terms (including the method, form, and timing of payment), removal and delivery terms, and Property inspection terms), do not create, and will not be deemed to create, any benefits or rights in favor of any other persons, including competing Bidders, and may not be enforced by any other persons. Either globally or on a case by case basis Auctioneer andor Seller may (but will not be required to) waive any provisions of these Bidder Terms and Conditions that are intended for the benefit of Auctioneer andor Seller. Bidder Number each Registered Bidder irrevocably and unconditionally (i) agrees that any claim, suit or cause of action relating to these Bidder Terms and Conditions, or the transactions contemplated hereby, will be brought in the state or federal courts sitting in and for Sacramento County, California; (ii) consents to the jurisdiction of such courts for any such claim, suit or cause of action; (iii) waives any objection that such party may have to the laying of venue of any such claim, suit or cause of action in such courts; and (iv) waives any objection to the bringing of such claim, suit or cause of action in such courts on the grounds of forum non conveniens. Each Bidder, Buyer, and other Participant waives the right to a jury trial. 39. Attorneys’ Fees. If any Participant breaches such Participant’s obligations under these Bidder Terms and Conditions, Auctioneer andor Seller will be entitled to recover all costs and expenses, including attorneys’ fees incurred in enforcing their respective rights hereunder. With over 143 combined years of expertise and knowledge, we provide an unparalleled investment recovery experience. Whether it's real estate, personal property, fleet liquidation, estate settlement, or strategic planning and negotiations, you will find Stone Brothers Auction to be a trendsetter in the industry.